​A Sports Software Platform, used by Leagues, Associations, Referees, Clubs and national governing bodies to manage 1000’S of sports competitions in the US, Canada, UK, Ireland, Portugal, UAE, New Zealand, Australia & more. You have found the right place if you are looking for a way to manage all of your communications. 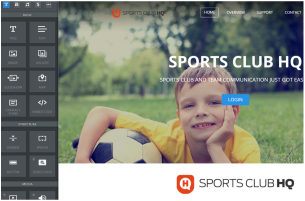 Sports Club HQ offers easy to use communication networks, that integrate directly from the Registration and Competition Management data. They can also be standalone services and connect into other integral data if required. ​​A great ambassador shares a vision for the future and has an innate understanding of the whole point of what is to be achieved. It is even more of a bonus when the ambassador who puts up his hand to take on the job is George Gregan. ​George has lived sports his whole life and for many years now, has successfully combined sports and business. At the heart of it, he has a passion for grassroots beginnings. When teams are put together well, there is something great that happens – stuff just gets done. Enough said. Leading the team as Chairman is Gold Coast-based executive David Johnstone. There is a reason he is the leader… he has many leather bound books and his office smells of rich Mahogany. Increase club revenue by taking sales online. Sell your Apparel and Merchandise, transport tickets, social events, even player registrations! Self managed websites custom designed by our team. 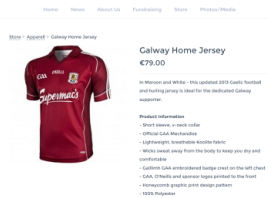 Make your website a beacon for members and sponsors and improve the image of your club's brand. Every association needs their own information portal. Our websites have been built for Clubs & Associations.